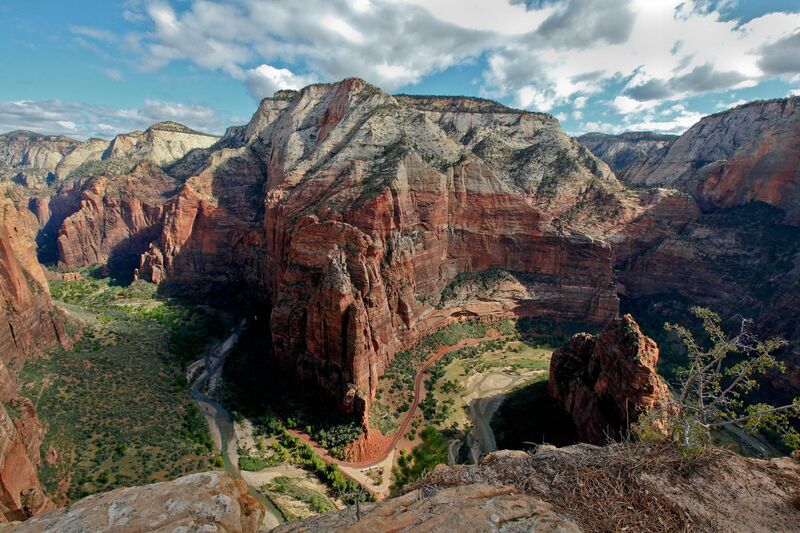 Zion Canyon makes a sweeping 'S' curve at the base of Angels Landing. This is an image of The Organ and Big Bend from Angels Landing. The Virgin River has worked for millions of years to present the sandstone beauty we get to enjoy today.